Elegant and feminine, this sleeveless dress from Stella is a timeless wardrobe staple. 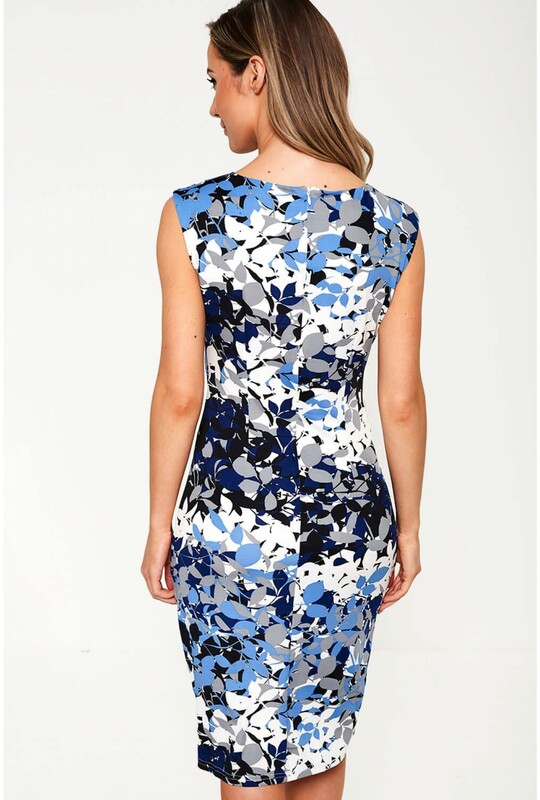 In a figure hugging bodycon fit, all over eye-catching print and flattering ruched detailing. Team with a cropped tailored blazer and court shoes.